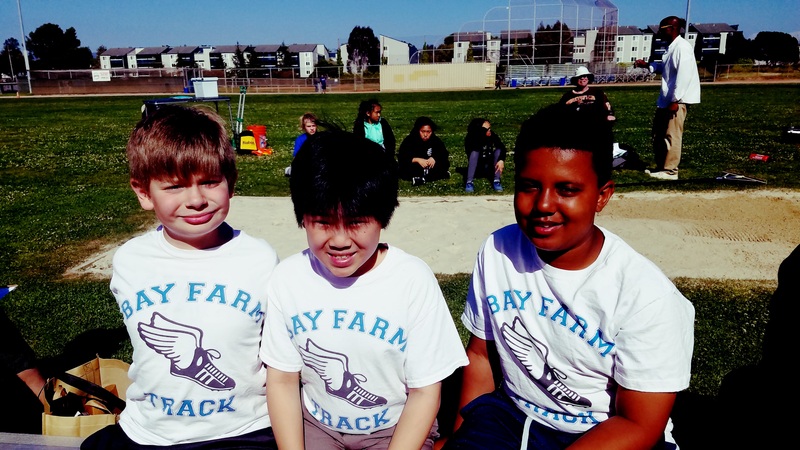 The most popular Bay Farm sport, track and field, is finally here! It was voted the best Bay Farm School sport in an early poll, and it looks like people are excited. 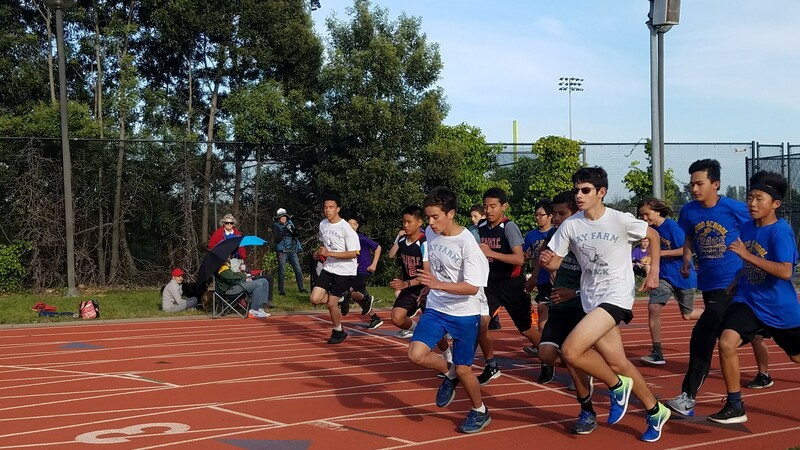 3rd Place, 8th grade boys- Hugh S.
5th Place, 8th grade boys- Ben W.
4th Place, 8th grade girls- Sofia C.
5th Place, 7th grade boys- Maksim M.
1st Place, 8th grade boys- Carlo G.
2nd Place, 8th grade boys- Hugh S.
4th Place, 8th grade boys- Ben W.
2nd Place, 8th grade girls- Giselle M.
1st Place, 6th grade boys- Julian M.
4th Place, 6th grade boys- Christopher W.
We also did very well in the shorter dashes. 3rd place, 6th grade boys- Zachary P.
5th place, 8th grade boys- Ryan R.
1st place, 6th grade boys- Zachary P.
4th place, 6th grade boys- Mathew Y. 5th place, 6th grade boys- Christopher W.
Finally, in track the relay teams also set records. Bay Farm had similar successes in field events. 1st place, 6th grade boys- Brandon C.
2nd place, 6th grade boys- Nicholas F.
4th place, 6th grade boys- Micah K.
4th place, 8th grade girls- Madison C.
1st place, 8th grade girls- Madison C.
2nd place, 8th grade girls- Sofie F.
3rd place, 8th grade boys- Puru G.
4th place, 8th grade boys- Ken V.
1st place, 8th grade girls- Sopie F.
3rd place, 8th grade boys- Ken V.